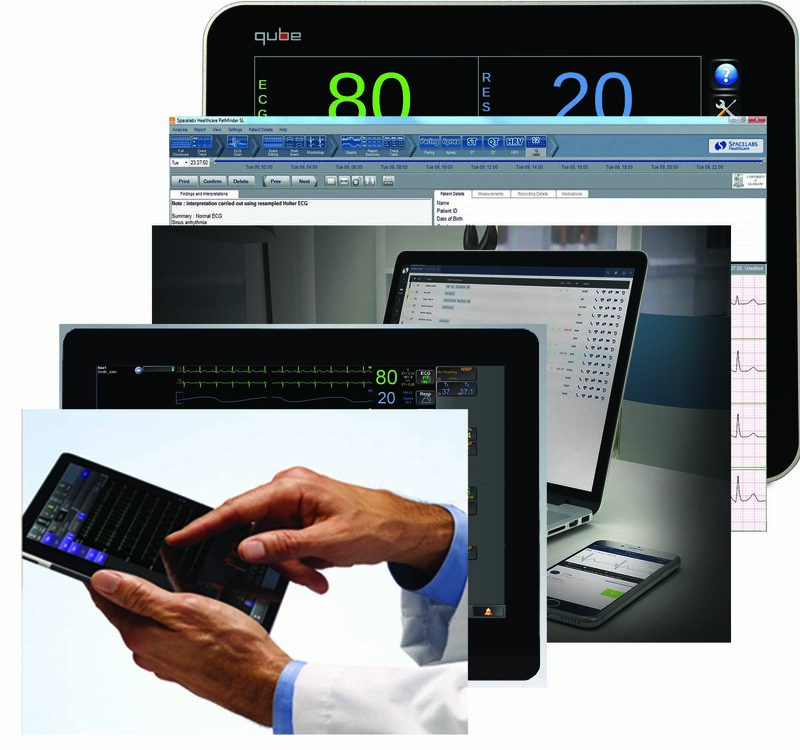 Developed with partner company Cerner, XprezzNet supports direct loading of vital signs, waveforms, and alarms from the monitors to charting systems, alarm management systems, and EMR. The receiving systems can launch ICS Clinical Access for an historic view and retrospective analysis. 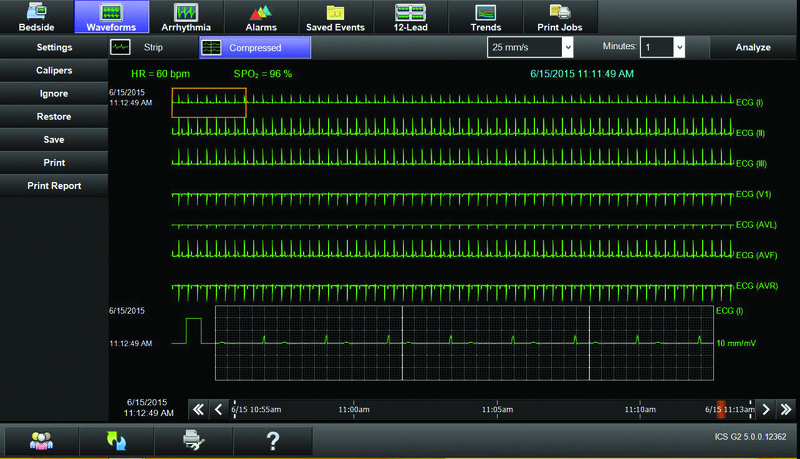 XprezzNet supports direct loading of vital signs, waveforms and alarms to charting, alarm management and EMR systems. Today’s clinicians expect data to be available at their fingertips. Spacelabs’ connectivity system carries vital information to clinicians across services and sites. It can also bring it to your desktop and mobile devices. Working seamlessly with Electronic Medical Records systems it can supply both numeric and waveform data. With the ability to launch from an electronic health record (EHR), it can also be deployed to the patient monitor screen. Spacelabs understands the need for economic value and thus specifies a non-proprietary infrastructure including data centers and virtualization. With a consultative approach, the company brings together clinical, biomedical and IT staff within an organization offering audits and impartial recommendations to suit your local needs. The Vital Signs Interface seamlessly links patient monitors to your Clinical Information System (CIS) via a single scalable HL7 interface. Automatic data transfer eliminates the need for nurses to enter data manually into the patient’s chart. Charting is fast, complete, accurate, and comprehensive, incorporating Flexport data from peripheral devices as well. The ADT Interface collects admission, discharge and transfer information via the hospital network and stores it in a centralized database. This enables you to automatically populate current patient information in the monitor, saving time and reducing the potential for errors in data entry. Patient administrative data is readily available, without searching in other systems. Our bar code scanning technology can help to automate the process. The Enterprise Network Interface (ENI) provides the basis for a hospital’s secondary alarm notification system. The 12-Lead Interface enables you to export diagnostic electrocardiogram (ECG) reports from a Spacelabs bedside monitor to an ECG management system, eliminating the need for an ECG cart and technician. The interface delivers reports through a single link to your ECG management system in the format required by that system. It works with all major ECG management systems, such as GE Muse or Phillips Tracemaster. The monitors also support serial transfer of data using PDL, Vitalink and Capsule technology. This is of particular relevance to anesthetic monitoring and with Flexport interfaces. Spacelabs’ monitors can view, control, review and record other monitors in real time. To support this we use the minimum possible level of traffic on the network. This enables us to use the hospital network for connections between services and to the central database. This is the only practical method for capturing data from wireless portable monitors using the hospital’s wireless provision. The need for separate or duplicate networks is thus removed. It supports real time views across ED, surgery and critical care. Our peer to peer architecture removes any dependency on central stations, reducing points of failure and simplifying the flow of data to the database. Vital signs data is collected and accessed from high dependency beds on wards as effectively as from critical care units with central stations.